Ireland's Padraig Harrington will captain Europe at the 2020 Ryder Cup with pride and some trepidation after being appointed on Tuesday, less than four months after helping the team to a crushing victory over the United States in Paris. Six of the last seven contests have been won by the home side and, as Harrington himself has pointed out, it took a "Miracle at Medinah" for the one away victory to occur. The Dubliner had been the clear favourite to succeed Thomas Bjorn at Whistling Straits and the news was confirmed at a press conference at the European Tour's Wentworth headquarters. 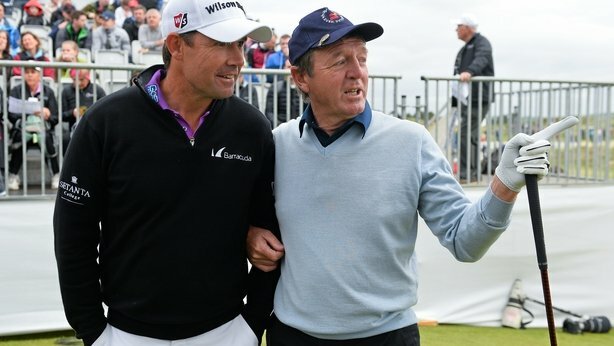 Harrington, the third Irish captain of the Europe team in the last four stagings of the match, said he had a busy 18 months ahead and meant to make his captaincy a mix of all those he had served under. "It's not something I went into lightly". "I've actually learned a lot more as vice-captain than you do as a player". "I really want to be a help". Considered among the greatest to play the game, Woods got his first taste of Ryder Cup leadership by serving as a vice-captain to Davis Love III at Hazeltine in 2016 as a string of back issues blighted his illustrious career. "It seems to be the right time and place for me in my career". Harrington becomes the third Irish captain out of the past four, following Paul McGinley and Darren Clarke. "I have to be part of that team and ensure that I find an edge to make the team perform to the best of their abilities and hopefully get a win", said Harrington, who accrued 10 1/2 Ryder Cup points since he made his debut in 1999. He spent countless hours analysing all manner of statistics for his own team as well as the opposition, and he took Ryder Cup captaincy to a new level. While the US captain for 2020 has not yet been announced, 2017 Presidents Cup captain and Wisconsin native Steve Stricker is perceived as the favorite to lead the American squad in his home state. However, Harrington will know the alternate-shot format is an area where his men can gain an advantage. "You don't get that day in, day out".